Among those receiving the Tamil Nadu state governments “Kalaimaamani” award this year will be the singer TK Kalaa of “Thayit Sirandha Kovilum Illai” fame.Kalaa who displayed great promise when she burst on the Tamil film scene in the early seventies faded away gradually. It is to the credit of Chief minister Jayalalitha Jayaram’s administration that it has thought it fit to give due recognition to a talented singer of vast potential at this juncture. It is indeed a sign of our times that present day Tamil film song fans are fated to listen to a multiple of voices “murder” the sweet Tamil language in their renditions while many native warblers of high calibre continue to languish for want of opportunities to sing play back.Thiruthani Kabali Kalaa (TK. Kalaa) though honoured by an award is one songstress who despite her rich, uniquely harmonious voice and elegant style of singing never received the chances she fully deserved in the Tamil film song realm. Kalaa is the daughter of a Kodambakkam based artiste couple Kabali and Shanmugasunthari. The latter was a stage actress who worked in yester year drama troupes like Balamurugan and Jothy nataka sabhas.She later acted in minor roles in many MGR films like Kannan En Kathalan, Neerum Neruppum, Ithayakkani etc. As a child Kalaa accompanied her mother to various studios and was enthralled by Kollywood. What attracted her most was singing. Kalaa learnt Carnatic music from Ammapettai Krishnamurthy. Kalaa is thrilled that her guru Krishnamurthy too is to receive a “Kalaimaamani” this time along with her at the hands of Jayalalitha. It is reported that Kalaa had met the chief minister some time ago and eagerly asked her whether she had ever listened to her songs. Jayalalitha replied “Kalaa paattai Ketkaamalaa? —– Kettirukken”. (Not heard Kala’s songs?…….. I have heard). Incidently Kalaa’s mother Shanmugasunthari received the same award during M.G. Ramachandran’s time as CM. With the daughter wanting to sing in films Shanumugasunthari tried hard to fullfil Kala’s dreams. Her first break came through AP Naagarajan. 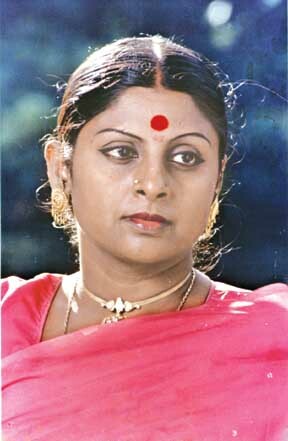 Shanmugasunthari had acted in many dramas scripted by the legendary APN . This helped her in canvassing for Kalaa.APN who made a name through films of devotional fervour and literary flavour was filming the story of sage “Ahathiyar” played by singer Seergali Govindarajan. Violin maestro Kunnakudi Vaithiyanathan was composing music. The words of Poovai Senguttuvan set to music by Kunnakudi and sung beautifully by Kalaa came across well. In spite of many hit songs in the film rendered by veterans like Seergali, TMS and TR Mahalingam the song rendered by TKK was a hit and remains an all time favourite yet. In fact Kalaa is vividly remembered for this first film song which is almost like her signature song. The next big break came when MGRamachandran heard her singing at a wedding reception at Mylapore. This was in the mid – seventies when the “Puratchi Nadigar” split from the DMK and had become “Puratchi Thalaiver” by founding his own party AIADMK. When MGR arrived Kalaa was singing a number from an MGR starrer “Nallavan Vaalvaan”. The song was “Aandavan oruvan Irukkindraan” sung by Seergali for the film. MGR was greatly impressed. As a result MGR got Kalaa to sing in two of his films. One was “Pallandu Vaalha” in 1975 and the other “Ulaikkum Karangal” in 1976. Latha was the heroine in both. In “pallandu vaalha” Kalaa was paired with KJ Jesudas for the song “Poi Vaa Nathiyalaiye” written by Pulamaipithan and music set by KV Mahadevan. It was a hit song. The other was “Vaaren Vali Paarthiruppen” which she sang along with veteran TM Soundararajan. MS Viswanathan was the composer. Around this time Kalaa also got a chance to sing for the veteran genius Rajeswara Rao. It was for KS Gopalakrishnan’s “Thasavatharam”. Kalaa voiced two songs for the role of Brahalathan in the film.The songs were “narayana ennum naamam” and “paar sumakum paampanaiyil”. Despite her ability and the initial breaks Kalaa was not very lucky. For one thing MGR had given up acting and become Chief Minister. Another reason was the advent of Vaani Jeyaram. MSV, Shanker – Ganesh and Vijayabhaskar who were ruling the roost in the mid – seventies opted for Vaani rather than Kalaa. MSV gave her chances to sing for his troupe on stage but did not use her in films. Then came the Ilayarajah phenomenon. That was the end for Kalaa.The “Isai Gnani” known for his pique and prejudice never used Kalaa in films. So TKK had to be content with only a few songs in Tamil movies. These opportunities came with long intervals between each. Many of the songs were not up to the mark either in words or melody. Besides some of the movies they were from became colossal flops. Yet a ray of sunlight in all this was AR Rahman. The budding genius used Kalaa first in the hit song “Kulicha Kuthalam” for K Balachander’s “Duet” where she sang along with SP Balasubramaniyam. Kalaa got some more chances with ARR in Bharathiraja films like ” Karuthamma”, “Taj Mahal”.and also “May Matham” The lullaby “Aararo Aareero” in “Karuthamma” highlighting female infanticide is a classic. Among her other memorable songs are “murukko kai murukku” (oru oothap poo kan simittugirathu”), “Oru Kathal Samrajyam” (Nanda En Nila), “En Kannin Maniye” (Rajarajeswari) “Mottu Mottu Malligai” (oru Marathup Paravaigal), “Kal thana nee kadavul illaiya” (Pillaiyar), “Aanagi Nigariye” (Utharavodu Ulle Vaa), Aadipparu Mangatha” (May Matham), “Chinna Ponnu Rasathy” (Sandhitha Velai), “Kaathirathu Kaathirathu” ( En Mamanukku Nalla Manasu), “kathadi Koothu” (Poonkaatre), Kulikkap Pogum Sakkil” (Manathil), “rettaikkili, rettaikkili” (Marumalarchi) and “Sengathe” in Taj Mahal. The last one is Ghazal type melancholy solo composed by Rahman. Though ARR recognized her talents and gave her many chances Kalaa has also sung for several different composers with diverse styles like Rajeswara Rao, Thetchanamoorthy, KV Mahadevan, MS Viswanathan, Kunnakudi Vaithyanathan, Shankar – Ganesh, Jayaraman, Deva, SA Rajkumar, Bharani etc. Kalaa has also sung for the well – known singer Soolamangalam Rajalakshmi when the latter composed music for “Pillaiyar”. Apart from her solos Kalaa has also sung with several reputed as well as lesser known singers like TM Soundararajan,KJ Jesudhas, SP Balasubramaniyam, Mano,Krishnaraj, Narendran, TK Nadarajan, KG Prakash etc. She has also sung with female singers like Swarnalatha, Sunitha and the veteran actress Manorama. Interestingly Kalaa has also sung with two actors in films. One is YG Mahendra and the other Mansoor Ali Khan. Though opportunities were scarce in Tamil cinema Kalaa never stopped singing. She has sung innumerable songs in Tamil for the Mumbai sound industry where sound tracks from Hindi songs are re – recorded for regional consumption. She also gives many public performances from Wedding receptions to stage shows. Kalaa has toured Sri Lanka, Canada, South Africa, Switzerland, France, Malaysia, Singapore etc for performances. Emulating her mother who has acted in many films Kalaa too has commenced acting in recent times. She has played minor roles in “killi” and “kasthuri Maan”. Another film “Veyil” is nearing completion. Her son Mahendrakumar an undergraduate at Loyola College is also keen on entering films after completing studies. Kalaa is jubilant about getting the Kalaimaamani. In a recent newspaper interview she said ” I feel elated about receiving the award from Chief Minister J Jayalalithaa. It would be a proud moment for me. Adding to the joy is the fact that I am receiving the award along with my guru Amma Pettai Krishnamurthy. My mother received the award during MGR’s period”. In the same interview she was asked to comment about the decline in Tamil film music. This is what she said ” Lyrics are the most important aspect in songs and if it is not understood by the people, the essence of the song is lost. Singers like P Susheela, Yesudas and S P Balasubramanian have rendered songs in Tamil despite them belonging from other States and their words are crystal clear. But nowadays, majority of the words are not understood”. This then is the unfolding tragedy of Tamil cinema. The beauties from Mumbai and Malayalam cannot speak Tamil. Those who do speak Tamil do so with mutilated pronounciation. The singers are imported from all over. They sing well but many words are mispronounced or inaudible amidst the raucous “sound” overpowering melody.Many rasikas yearn nostalgically for the time when actors and singers pronounced Thamizh clearly and correctly and the crescendo of music did not drown out the words. « Why is the LTTE disappointed with Ranil Wickramasinghe?